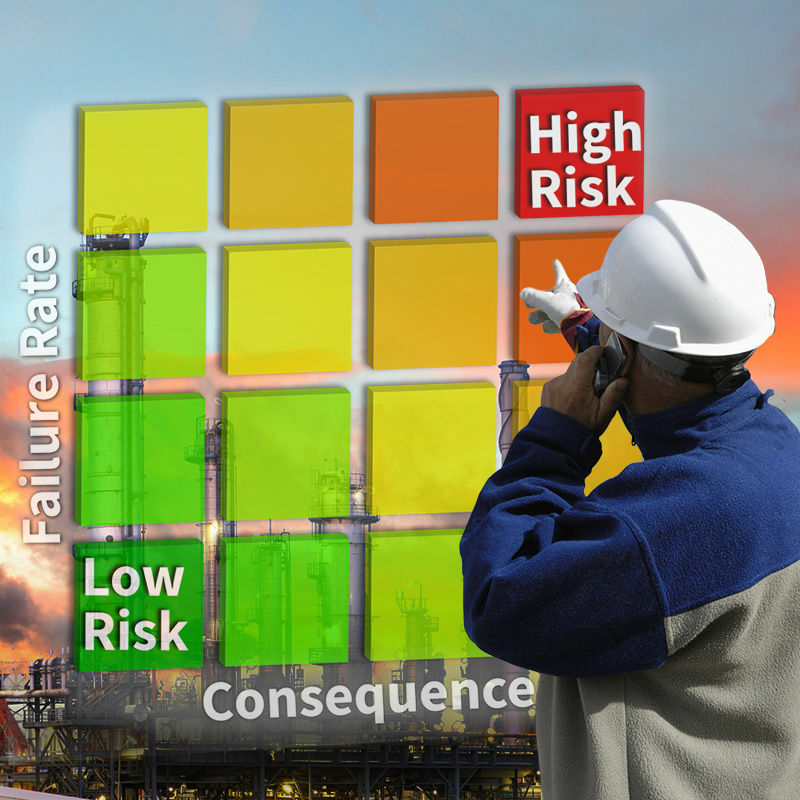 Risk Based Inspection - Why Consider it? When it comes to mitigating risk for critical assets, time is money. The old adage is especially true for owner operators still incurring unnecessary costs due to the dated method of time-based inspections for assets. Equipment failures cost the US refining industry over $4 billion per year, with two thirds of those costs being associated to failures of static equipment. With such exorbitant financial risk at stake, it has never been more prudent to find a smarter way to manage critical assets. The good news is, there is a smarter methodology that is trending upward in a major way for those managing assets in the Oil & Gas, Pipeline, Chemical, Power, and Pulp & Paper industries. A methodology that offers unprecedented understanding of the actual plant and equipment. One that times inspections based on sophisticated risk analysis - significantly decreasing management time, overhead, and helping to avoid equipment failure or unnecessary shutdowns. That methodology is Risk Based Inspection (RBI). RBI is quickly becoming the most prevalent methodology in the industry, commonly utilized by the smartest companies as a superior way to protect their critical assets. Why are more and more companies altering their methods to adopt this system? The answer is simple: it improves every component of the Asset Integrity Management process, from cost savings, to equipment life, to reduced risk of failure. Compared to taking a traditional API approach to inspection timing, RBI incorporates detailed analysis of a facility’s modus operandi, translating into 50-90% fewer inspection points. This provides operators with an unprecedented understanding of the actual condition of a plant and all of the equipment therein – in real time, all the time. Risk assessment data is attained and combined with previous inspection history, allowing for determination of the most efficient, safe and cost-effective inspection scopes, methods and intervals. The result is logical, repeatable, and flexible procedures around which a company can base their inspection planning. RBI a is dynamic method, as it is constantly updated throughout the assets’ lifecycles. It better predicts risk and other influential components that can change over time. This translates into a reduced risk of equipment failure totaling 80-95%. Further, the technology itself is continuously evolving and improving with the latest technical innovations. What does this mean for your company? Significant reductions in management time and overhead. Intelligent, fluid analysis of every asset and its unique risk/condition at any given moment. Improved workplace safety, environmental protection, and community security. Easier adherence to regulatory standards for assurance with auditing. The cost savings are proven, as the benefit of implementing RBI can be up to 20 times the cost of implementation and management over a five-year period. All of these components are consolidated directly within the Asset Integrity Management system, simplifying compliance and risk aversion for those managing the assets. The cost savings are exponential – and the plethora of advantages that result from utilizing RBI provide a proven Return on Investment (ROI). Metegrity is an industry leader in asset integrity management. Our suite of inspection data management software solutions utilizes built-in RBI components for clients across pipelines, plants and facilities. Our flagship product, Visions Enterprise, creates unique risk models which assess a client’s assets, incorporate that data into a centralized database, and tailor an Asset Integrity Management program to provide maximized ROI. Praised for unparalleled speed of deployment, our products are also highly configurable – allowing our experts to strategically tailor them to your business practices. Metegrity currently protects over $550 billion in assets across 850 facilities around the world.